Brooklyn Vegan, KF Records and Partisan Records have put together an impressive 3-stage day party for SXSW 2011. 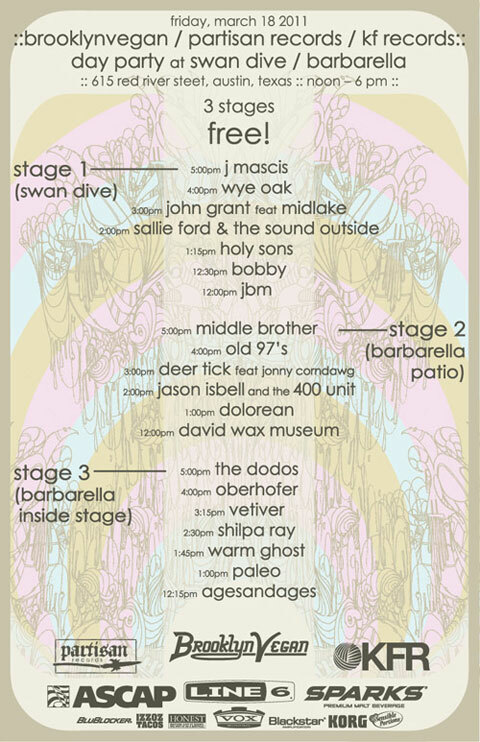 This lineup features headliners J. Mascis, The Dodos and Middle Brother, and also features a surprise appearance by Midlake backing up John Grant. The party takes place on Friday, March 18th. Swan Dive / Barbarella – 615 Red River Street – Noon – 6 p.m.